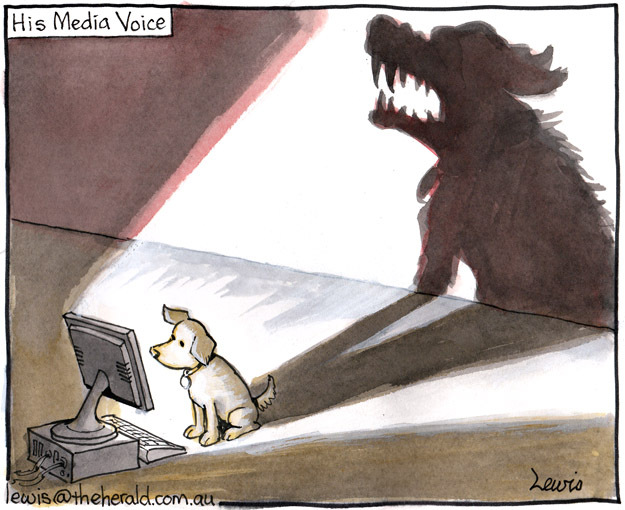 The rise of social media – which is more about gossip than fact – has led to exaggerated stories about dogs. Wild claims have been made about domestic pets being stolen to feed dog-fighting rings, few of which have been verified by police or animal welfare groups. This entry was posted in Cartoons, Editorial Cartoons and tagged australia, canine, canines, dog, dog fights, dogfighting rings, dogs, pitbull, pooch, pooches, rottweiler, social media on December 3, 2012 by Art by Peter Lewis.